King Felipe of Spain addressed the Portuguese Parliament on the final day of his three day State Visit to the country. It is a rare honour and one that clearly meant a lot to Felipe as he followed in his father's footsteps at the end of this trip. There was also a visit to a hospital and a chance to meet some of the large Spanish community in Portugal on day three. Welcome to the final part of Felipe and Letizia's State Visit. It was the day they caught the train. 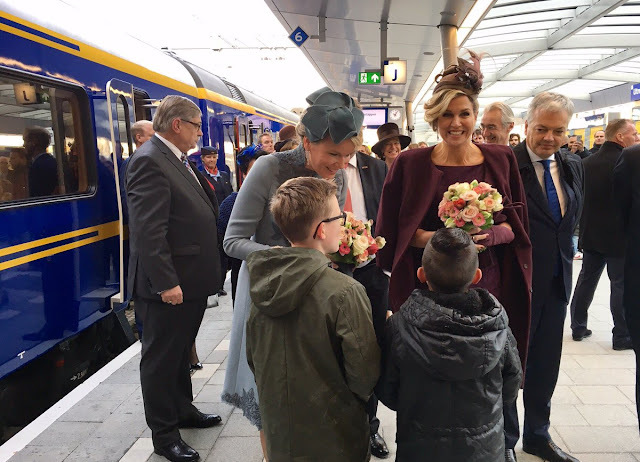 As the Belgian State Visit to the Netherlands came to an end, Queen Mathilde and Queen Maxima enjoyed a day trip to Utrecht as they prepared to say goodbye. Welcome to the last day of what has been a special State Visit. 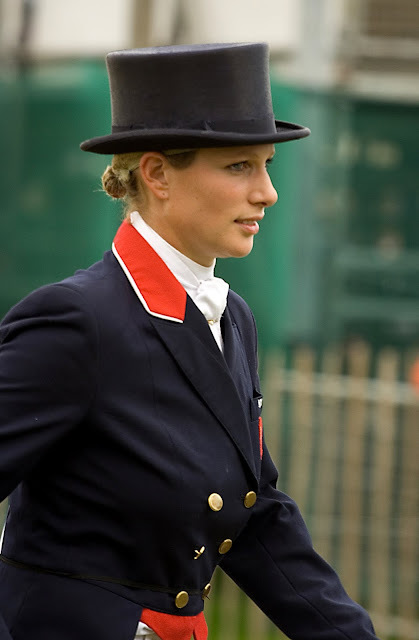 Zara Tindall and her husband, Mike, are expecting their second baby. 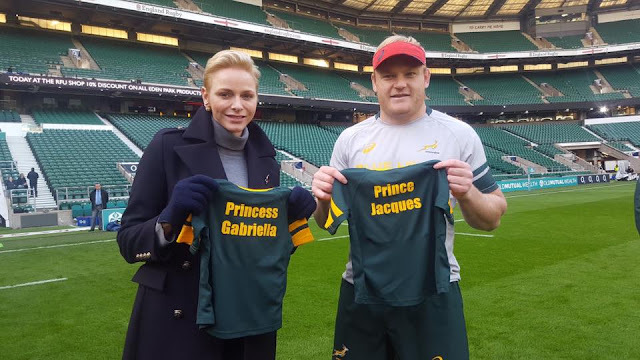 The new addition to the Tindall family is due next year and will be a brother or sister for Mia Grace who turns three in January. It was all change for Prince Harry as he arrived in Barbados for the next stage of his tour of the Caribbean. He got a new place to lay his head and a chance to stay up late for work. Welcome to Barbados and Prince Harry's Caribbean Tour. King Felipe and Queen Letizia split day two of their State Visit to Portugal between two of the country's most famous cities - Porto and Lisbon. From a morning of modern science to an afternoon and evening of State Visit tradition, this was a tour that had it all. Welcome to day two of Felipe and Letizia in Portugal. 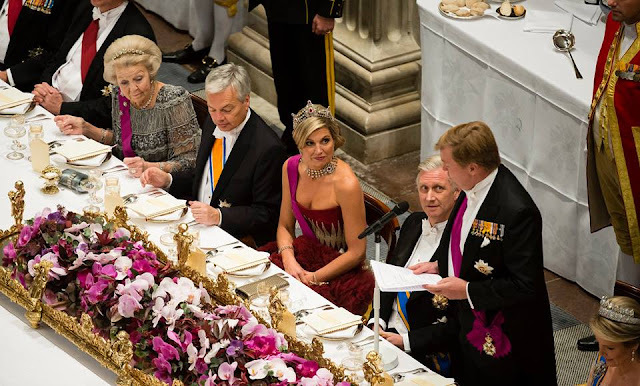 We didn't get just one tiara from the Dutch royal jewellery box as the gala dinner for the Belgian State Visit got under way. We got four. That's right, count them. A quartet of cracking collections of gems. These diadems were mostly diamonds but amidst all that pure sparkle was the fire of some of the most famous royal rubies in Europe right now. Welcome to a stand out set of State Dinner Sparklers. 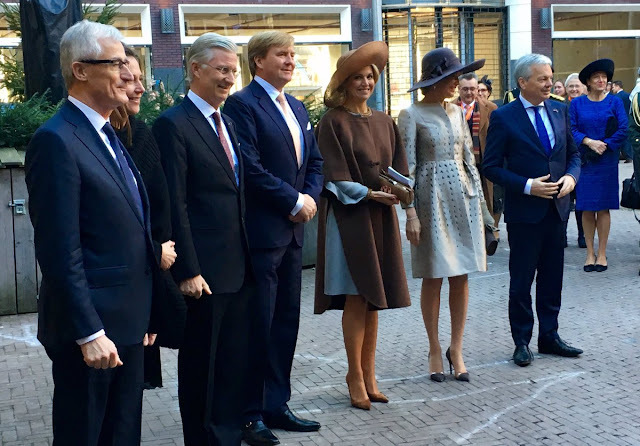 Day two of the Belgian State Visit to the Netherlands was all about a morning of Maxima and Mathilde, an afternoon of kings and an evening filled with royalty. Plus a lot of red hats. There was also art, business and community work - State Visit Day Two was a busy one. Queen Mathilde brought one of the most impressive and historic tiaras in the Belgian collection out of the jewellery box for her State Visit to the Netherlands. The diadem chosen by the Queen of the Belgians played a significant role in the royal lives of two other consorts and its very name is evocative of the country they called home. 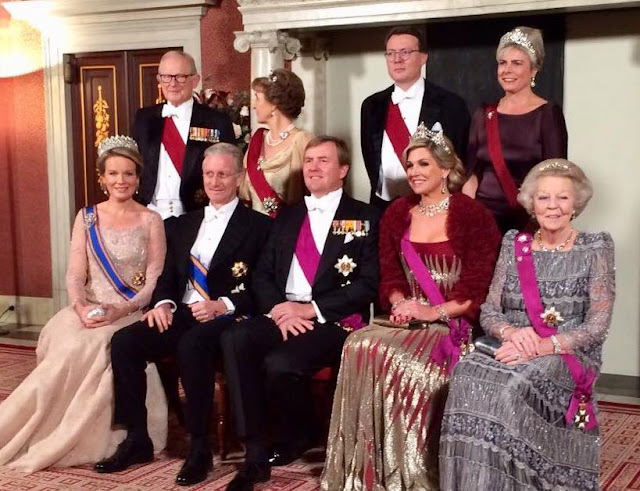 On her Dutch State Visit, Mathilde let the Nine Provinces Tiarasparkle. 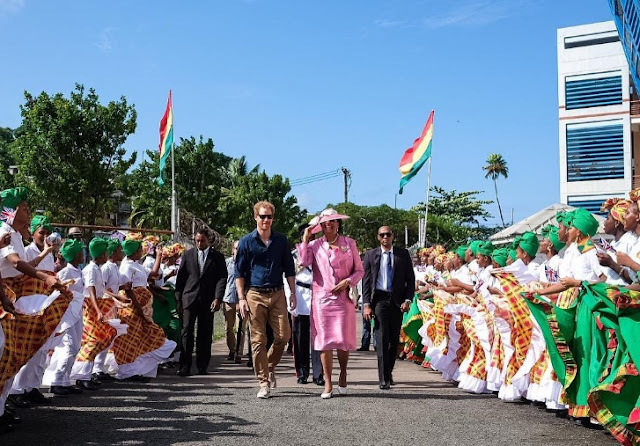 After a travel day on November 27th (he's been working hard, give him 24 hours off), Prince Harry stepped ashore in Grenada to one of the biggest welcomes so far on his tour of the Caribbean. The happiness to see Harry continued through a day that included a lot of sport and a focus on protecting the natural environment. Come on, time to get happy with Harry as day nine of his Caribbean tourunfolds. 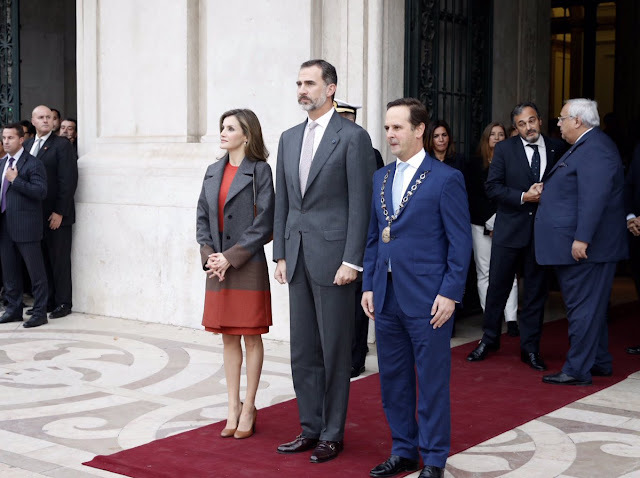 King Felipe and Queen Letizia of Spain began their three day State Visit to Portugal with a mix of modern and traditional. 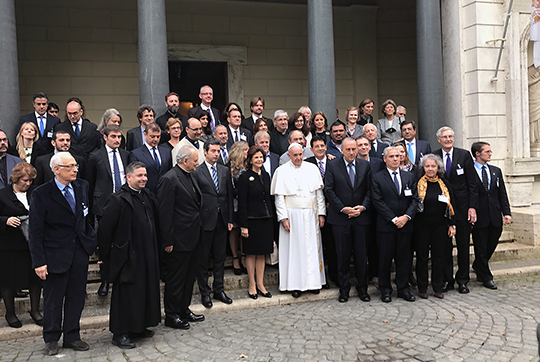 As well as the ceremonial welcome and a spectacular State Dinner, there was also a chance to celebrate one of Spain's most famous artists of the 20th century and to talk about causes close to their hearts. Welcome to the Spanish State Visit to Portugal, Day One. 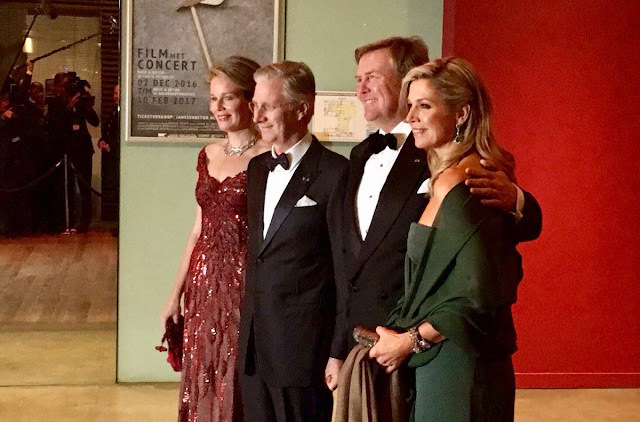 They are good friends and close acquaintances so it was no surprise to see smiles dominating as King Willem-Alexander and Queen Maxima of the Netherlands welcomed King Philippe and Queen Mathilde of the Belgians to their country, The three day State Visit got under way with plenty of pomp and ceremony and lots of laughs. 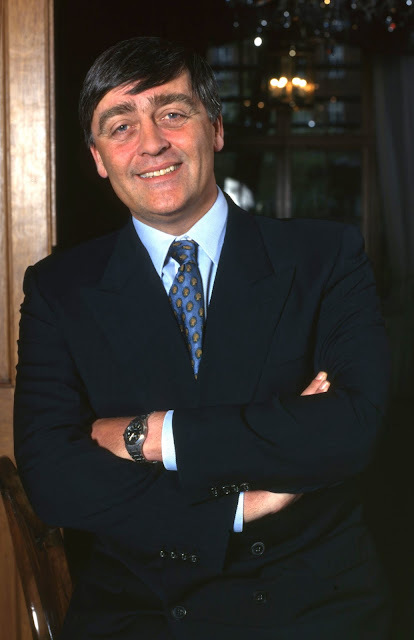 Members of the Royal Family joined the congregation at Chester Cathedral today at a memorial service for the 6th Duke of Westminster who died in August. 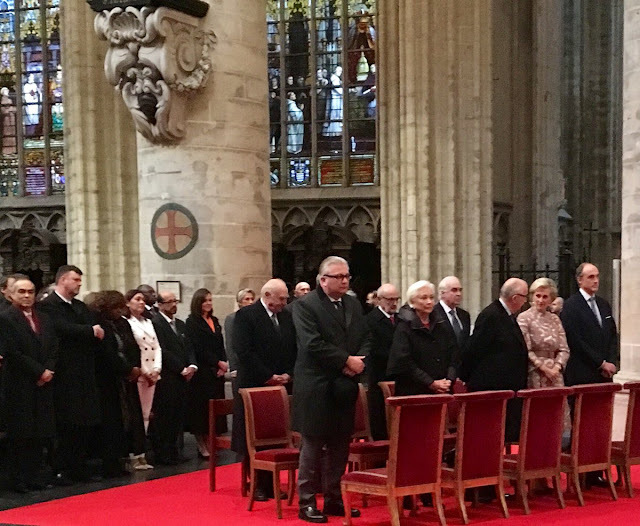 The Duke of Cambridge gave a reading at the service remembering Gerald Cavendish Grosvenor while his family led tributes. 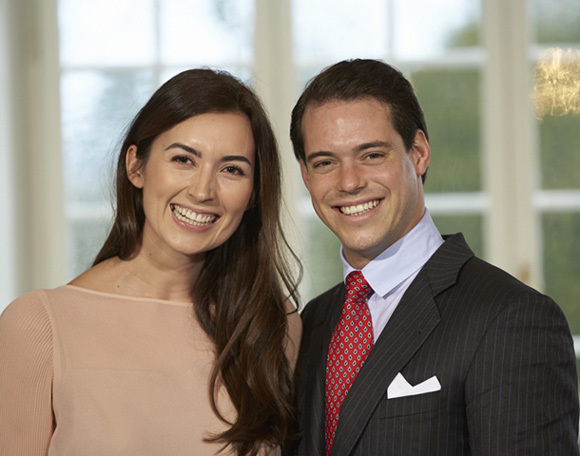 Prince Felix and Princess Claire of Luxembourg have welcomed their second child. Claire gave birth to a son in the early hours of November 28th in Switzerland. She was her friend and companion throughout ninety years - Margaret Rhodes, cousin of the Queen, has died at the age of 91. 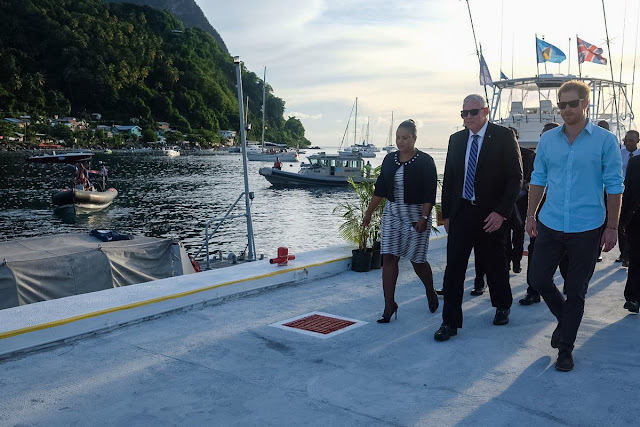 Day seven of Prince Harry's tour of the Caribbean took him to country number four as he stopped in St Vincent and the Grenadines. There were beaches, there were forests and there was a moment when Harry came face to face with himself. Welcome to day seven of Harry in the Caribbean. Royalty and Fidel Castro don't seem like a mix. 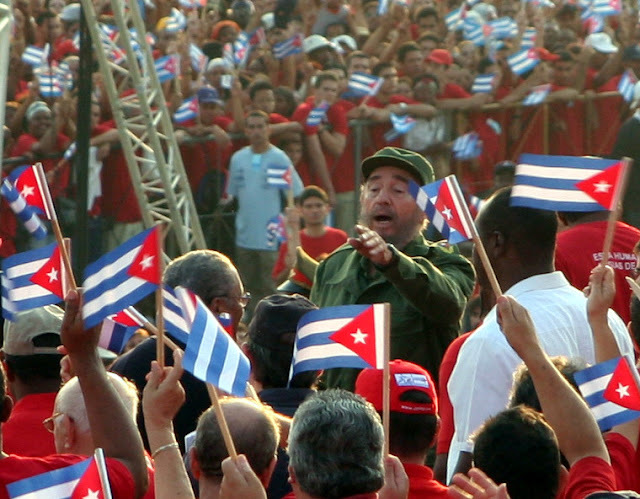 But the man who led the Communist revolution in Cuba before ruling a one party state for almost fifty years rubbed shoulders with royals on more than one occasion. As the death of Fidel Castro is announced, here are several times that he met royalty. Anyone for cricket? 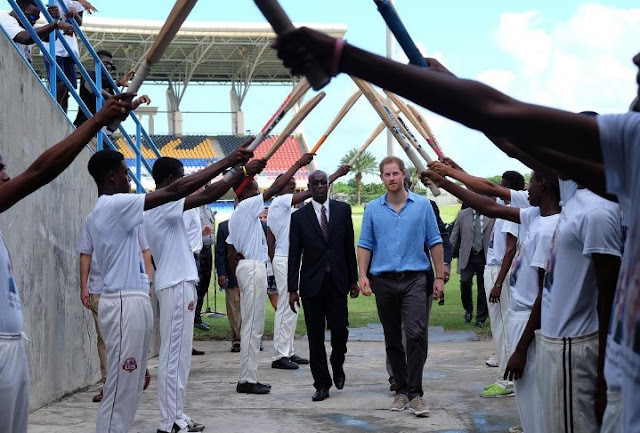 Day Six of Prince Harry's Caribbean tour included an exhibition cricket match, a chat with young people working to save the natural environment and another chance to see the Queen's Commonwealth Canopy extended. All before the prince sailed off into the sunset. Welcome to Day Six of Harry's Caribbean tour. 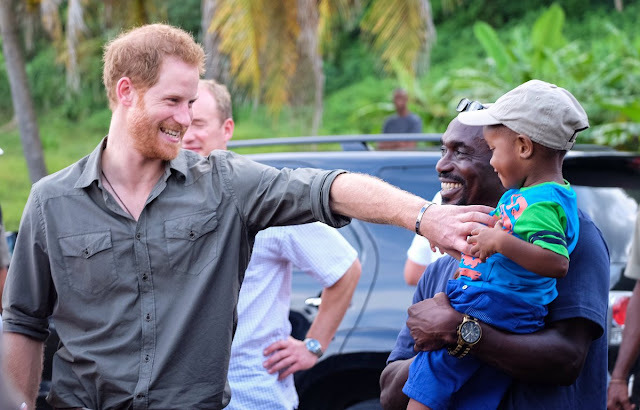 After a packed twenty four hours in St Kitts and Nevis, Prince Harry kept things quiet on day five as he arrived in St Lucia. With a full itinerary ahead of him on day six, this part of the tour was perhaps the most formal so far as it was restricted to the official parts that have only peppered the visit so far. That doesn't mean though that Harry didn't add his own twist. Welcome to the Royal Tour of the Caribbean, Day Five. He is used to walking a step behind but today, the Duke of Edinburgh was very firmly at the centre of royal celebrations. Prince Philip attended a special service in London marking 60 years of the Duke of Edinburgh Award. And while others shared their stories and he sat among royalty, the focus was very much on the man who created a scheme that has set countless young people on the path to success. 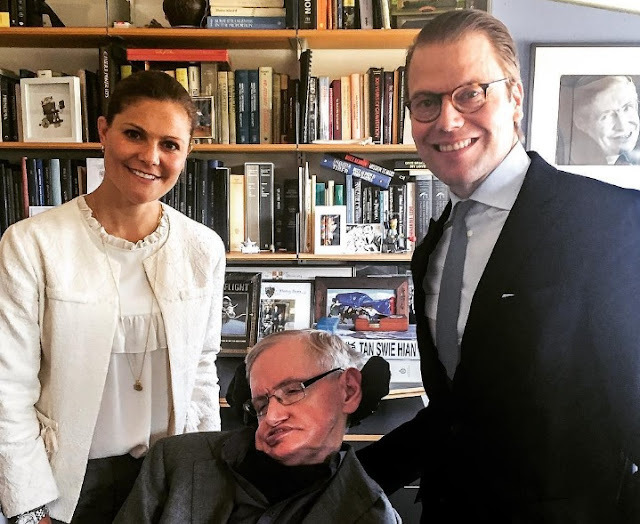 Queen Silvia has spent two days at the Vatican this week and after opening an historic art exhibition on November 23rd, the Swedish consort had her eyes on the future on November 24th. She was taking part in a seminar on drugs and the impact on society, And, as in many things, Silvia's thoughts were on the impact on children and young people and ways to improve the lives of those affected. 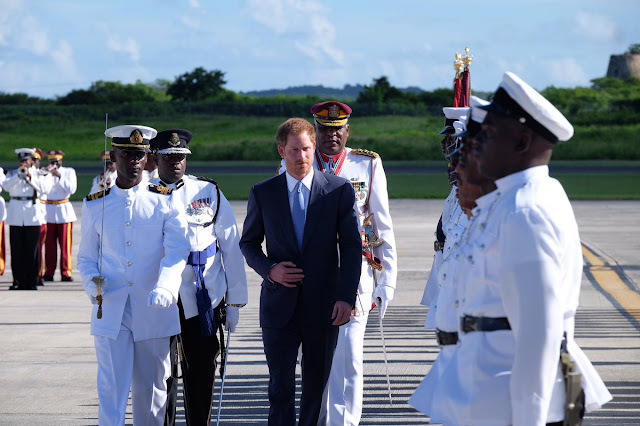 It was a whistlestop tour of St Kitts and Nevis for Prince Harry with just twenty four hours to enjy this part of his Caribbean visit. But he packed in plenty and left us with lots of great images and memories. 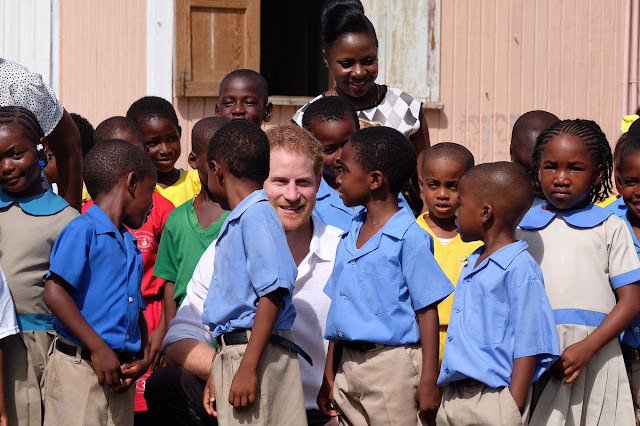 Here's Harry's photo album from St Kitts and Nevis. When will Kate's words count more than her image? When I woke up this morning to see 'The Duchess of Cambridge' trending on Twitter, my first thought was baby. After all, Kate's last engagement was the day before last and with no appearances or anniversaries to make her name flash up on the most popular talking topics of the day, bambino number three seemed a possibility. It turns out that everyone was talking about Kate talking, for a change. But does this mean we want to listen to Kate more now that click on photos? Prince Harry began the next phase of his Caribbean tourin the same way that he had ended part one - beneath the Queen's Commonwealth Canopy. 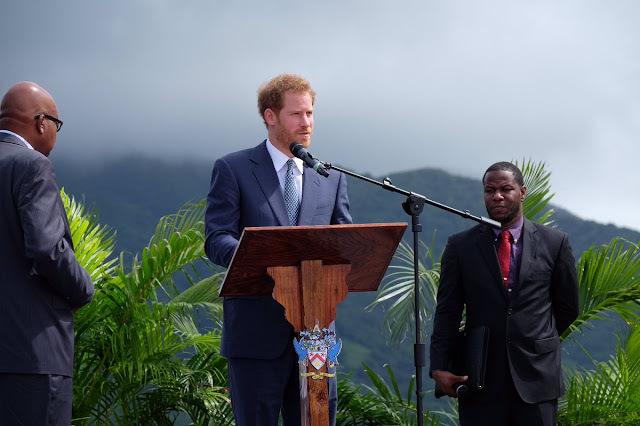 The prince arrived in St Kitts and Nevis on November 23rd, just hours after dedicating part of the forest in Antigua and Barbudato the canopy and one of his duties in St Kitts was to do the same there. It was a packed stop for Harry as day four of his Caribbean tour unfolded. It's a major art exhibition marking a major anniversary and it's just been given a very regal start. 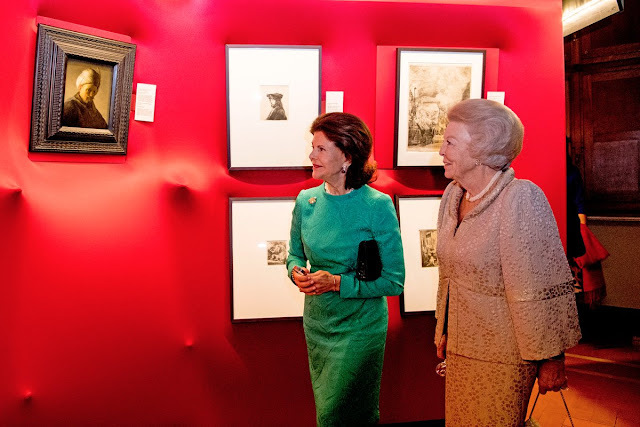 Queen Silvia of Sweden has officially opened the first ever display of Rembrandt's works at the Vatican in the presence of Princess Beatrix of the Netherlands. 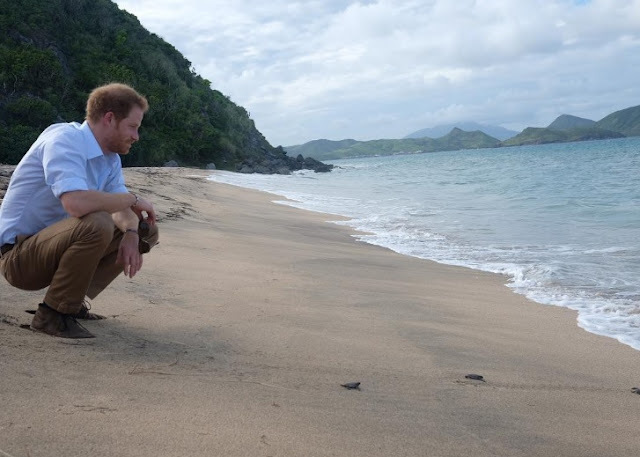 The first part of Prince Harry's tour of the Caribbean is over but it's left some fabulous photos as memories. We've had smiles, sport and striking sunsets and all in just three days. 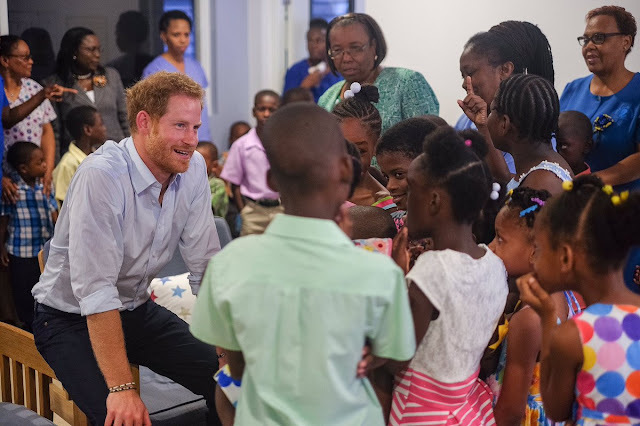 Here are twelve images to remember Harry in Antigua and Barbuda by. After two days in Antigua at the start of his Caribbean tour, Prince Harry hopped on a helicopter for a visit to its sister island of Barbuda. Day three was all about education and the environment - two issues close to Harry's heart. 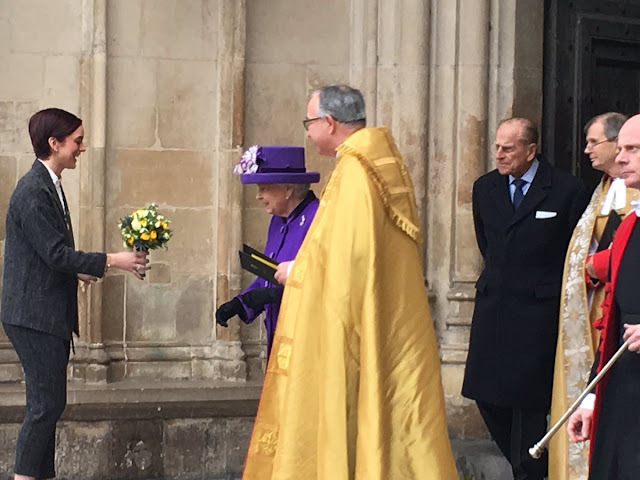 And it ended under a canopy named for the Queen, a reminder that this royal tour is being carried out in his grandmother's name. Sometimes, a hand on the shoulder is all we need to help us move forward.Last night, The Duchess of Cambridge came to the aid of a mum who was overwhelmed with emotion as her son talked about living with autism. Kate gave Ceri Knapton a hug to comfort her and told her that she had to do it, 'as a mum'. He arrived at the Natural History Museum in London by royal command in 1905 and now, as Dippy the Diplodocus prepares to head off on tour, he's had a regal send off. 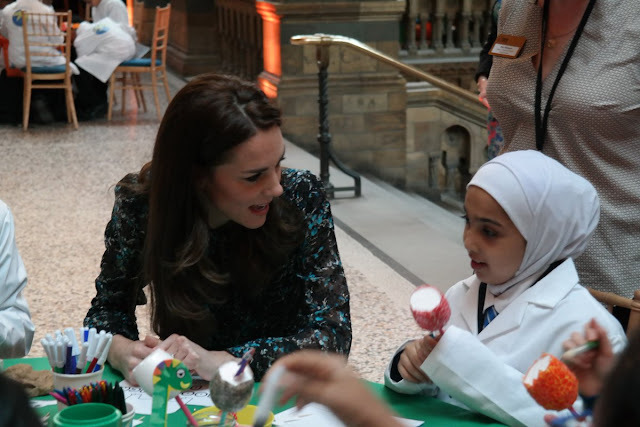 The Duchess of Cambridge attended a tea party at the museum of which she is patron as one of its most famous exhibits prepares for the next chapter in its life. She's got a lot of school and creativity coming up so Queen Silvia really knew what she was talking about when she attended a conference in Ab Dhabi this weekend about helping young people grow and thrive. Silvia spoke about the importance of education at the event - with five grandchildren under the age of five, it's a topic close to her heart right now. We always knew Prince Harry was a good sport and he's gone the extra spin, bounce and tap to prove it while on his tour of the Caribbean. 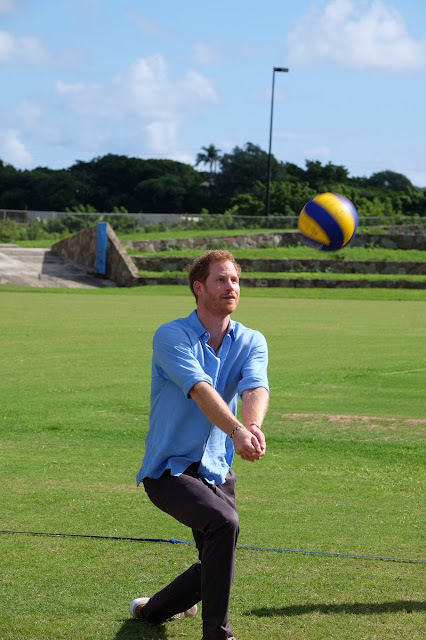 On a day out in Antigua at a Youth Sports Festival, Harry got to try his hand at more than one game. The prince was seeing how sport can really make a difference to the lives of young people as well as celebrating the achievements of the country he is calling home at the start of his two week tour of the Caribbean. Here's Harry's photo album showing what a good sport he's been in Antigua. 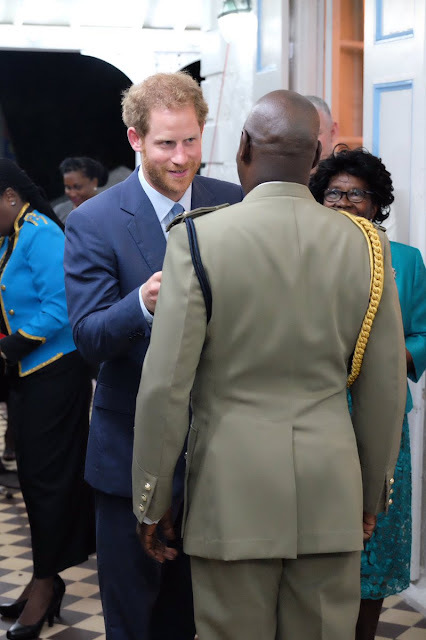 Prince Harry already has a reputation as the king of royal hugs and as he toured Antigua on day two in the Caribbean, he underlined that and then some. From celebrating with sporting colleagues to helping local children with disabilities, Harry was all about hugs on this part of his tour. When you look like you stepped from a picture book and that album was taken in a royal palace, topping a style poll should be a doddle. And that's just what it was for Princess Charlene of Monaco who won this week's Royal Wardrobe poll in the outfit worn for her country's National Day. It was like a home from home. Prince Harry started his tour of the Caribbean at Clarence House with constant reminders of home. 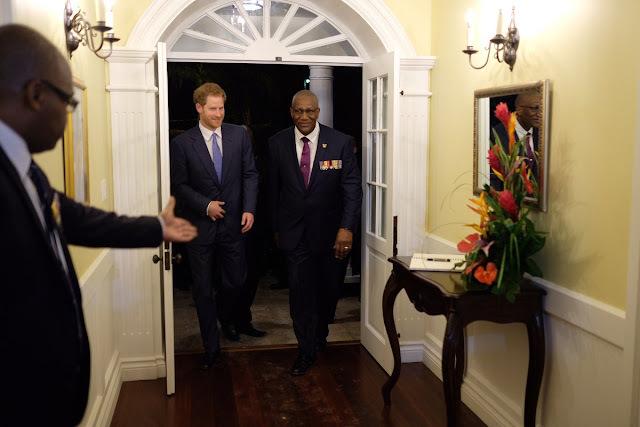 Harry is carrying out this tour on behalf of his grandmother and as his first engagement got under way in Antigua and Barbuda, he was surrounded by images of the Queen in a house that shares its name with a family residence that was built for a William who would go on to become king. Harry's forward looking tour had plenty of reminders of the past as it got under way. It's been a busy royal week with big visits, National Day celebrations and huge bills all making the headlines. We've seen some of the youngest royals on the continent, heard about projects that stretch around the world and had a right royal row about costs. To sum it all up, here's the Royal Week - in Numbers. And he's landed. Prince Harry has touched down in Antigua at the start of his tour of the Caribbean which will take him to seven countries across two weeks. 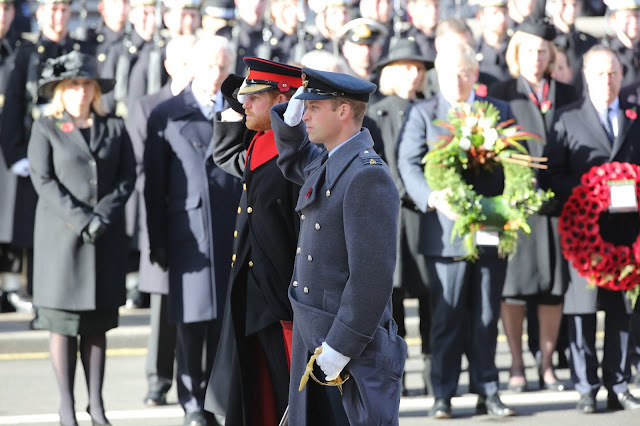 There are some big anniversaries and some major events coming up on this visit for Harry and it began with a right royal welcome for the prince. 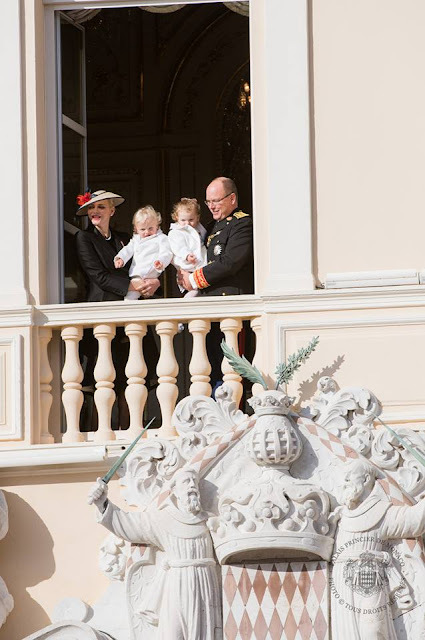 It might also be known as the Prince's celebration but this year, Monaco's National Day was all about the babies of the family. As was to be expected, twins Prince Jacques and Princess Gabriella stole the show but they had pretty close competition from cousins Sacha, India and Raphael and a new member of the family set to make an appearance early next year. Welcome to baby love on Monaco's National Day. 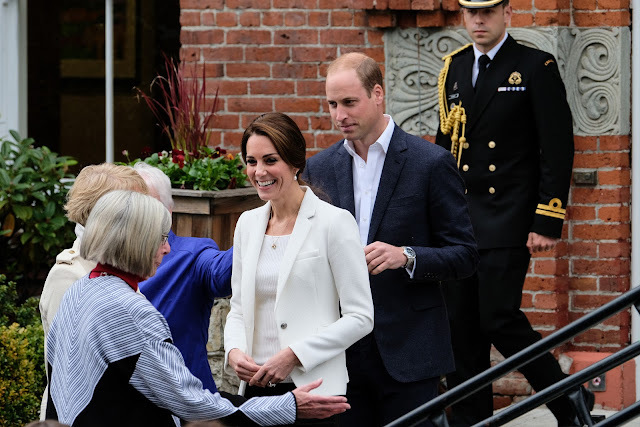 It's been a week of muted colours and monochrome in the Royal Wardrobe. We've had splashes of colour, thanks to Queen Maxima and Queen Letizia, but even they have also joined the trend of the past seven days - black, white and grey. And that isn't a bad thing. From suits to dresses to downright winners, these wintry shades have been shown off in a series of standout looks. Here are four of the best - and you can vote, as always, on this week's Royal Wardrobe in the poll on the main page. Buckingham Palace: time for a rethink? At a time of year when many of us need a new boiler, repair bills are never far from thoughts. But when the repair bill is 369 million, that really concentrates the mind. Buckingham Palace is getting a refit and the invoice has not only caused a huge row, it's reignited the debate about where the Royal Family should live and who should foot the bill. So is it time to change things up at Buckingham Palace? She's barely touched back down again after her State Visits to Australia and New Zealand and Queen Maxima has been seriously busy. 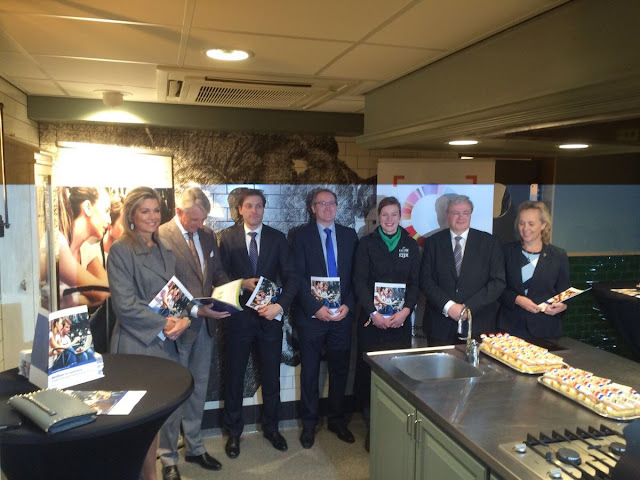 In less than twenty four hours, the Queen of the Netherlands has carried out a series of engagements all about building different parts of society. Maxima is back home and back in business. 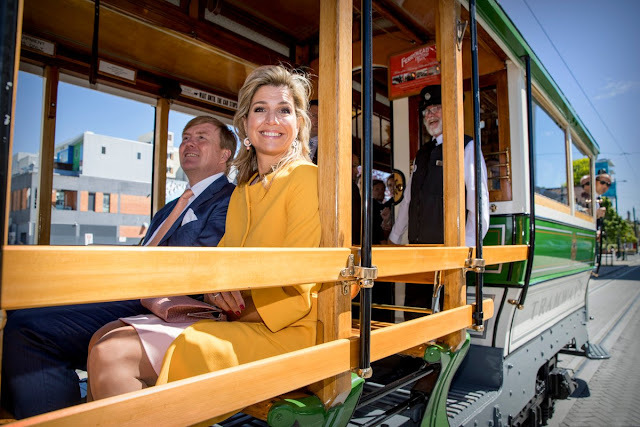 Just as winter take s a hold, the three princesses of Willem-Alexander and Maxima are reminding us of summer. 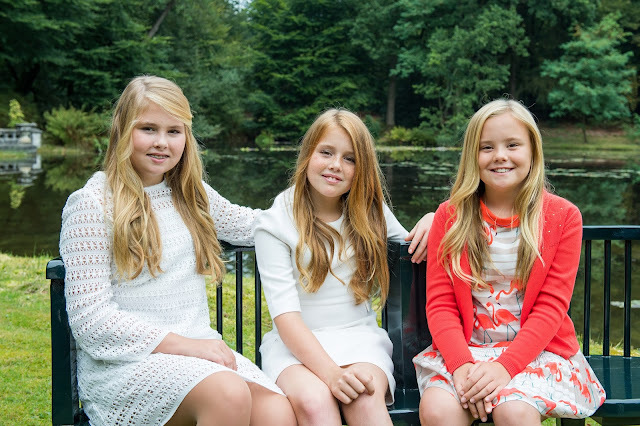 Catharina-Amalia, Alexia and Ariane star in new photos taken earlier this year and released by the royal house. Coming from summer as the frosts begin to sparkle, these are portraits of princesses. As Monaco gets ready for its national day, there are gifts to be given. And these presents had a new meaning this year. Traditionally, Monaco's royals hand out baskets and gifts ahead of their country's National Day to locals but in a year when Europe has seen a refugee crisis there were new recipients in a cermony filled with meaning. 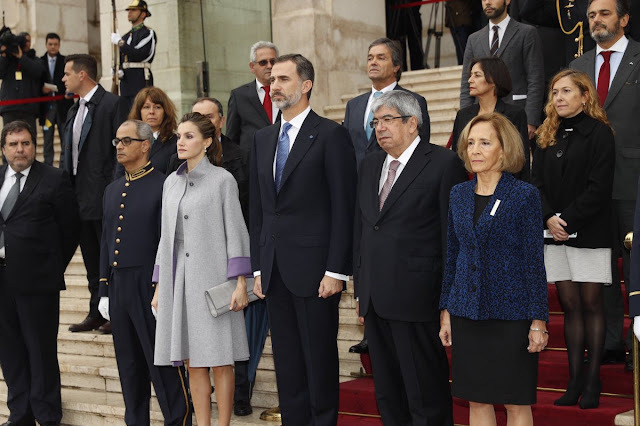 The King of Spain has officially opened the new session of his country's parliament after almost a year of political uncertainty and at his side was his heir, Princess Leonor, and her sister, Infanta Sofia. After a difficult 2016 for Spain's politicians and its Royal Family, this was a day of new beginnings. And it all started with a debut for Leonor and Sofia. Prince Harry wants to sing it from the rooftops. 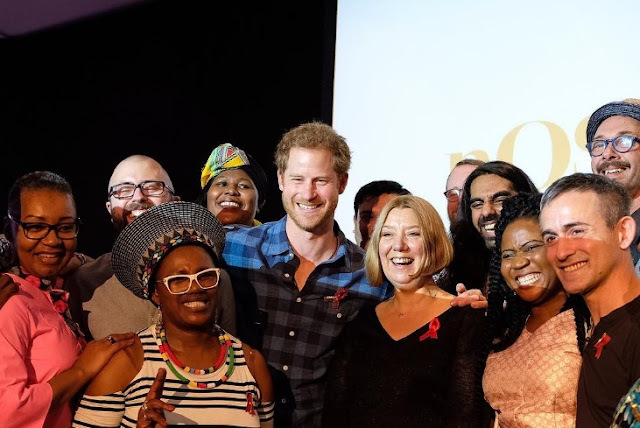 The prince has been a high profile supporter of HIV/ AIDS charities for a while and even took an HIV test in the summer, live on Facebook, to encourage others to get their own check. On his latest visit to a charity in London, he's joined forces with a choir to make sure the message really gets across. It's King's Day in Belgium but it was one of the country's two queens who led the way. Paola, consort of Albert II, was with her family at the traditional events and she was every inch the leading lady. When she died, Kensington Palace became a sea of flowers. Twenty years on from the passing of Diana, Princess of Wales, a garden of scent will be planted to mark the anniversary of her death. A tiara worn by the longest reigning monarch in British history and her only daughter for their marriages is going to take some beating as a royal wedding diadem and this delight of diamonds is pretty hard to top. 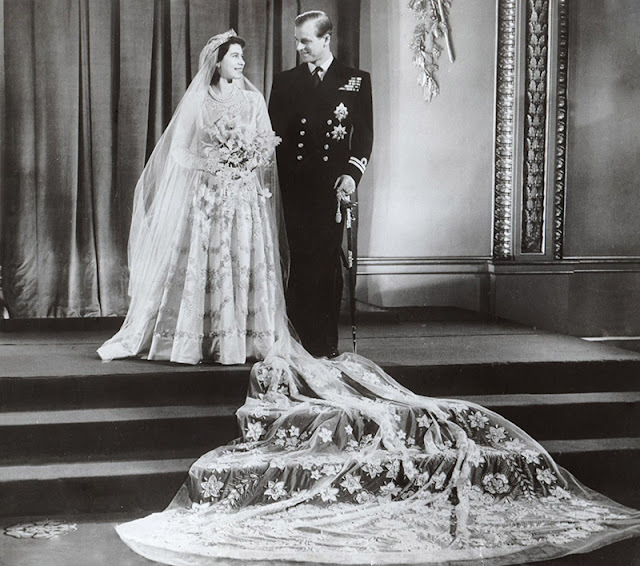 The sparkling fringe tiara chosen by the then Princess Elizabeth and her daughter, Princess Anne, for their weddings had plenty of royal pedigree before its starring role in their big days. 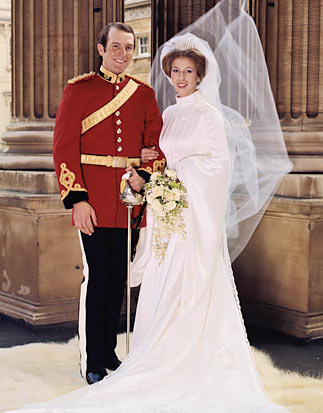 And now it's known just as much for its part in the weddings of Elizabeth II and Anne, Princess Royal. This really is a royal wedding tiara. In the end, it was too sunny to resist. The yellow coat worn by Queen Maxima, with its Sixties vibe and stand out hat, topped the poll to find the favourite outfit from this week's Royal Wardrobe. OK, ten is big and five is biggish but in Denmark, the first really huge landmark wedding anniversary comes exactly 12 and a half years after saying 'I do'. 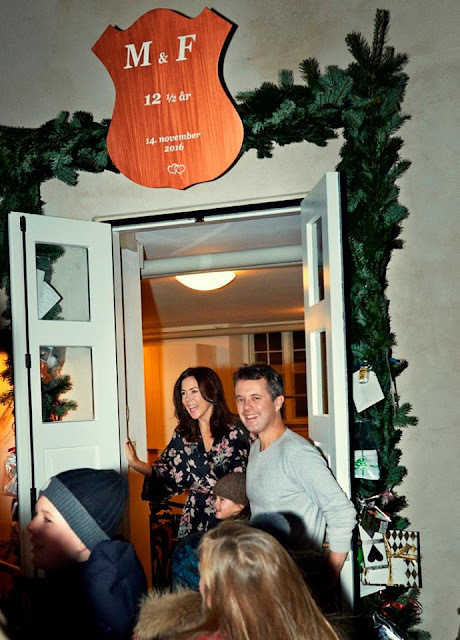 Today, Crown Prince Frederik and Crown Princess Mary reached that milestone and as a special present, their friends and family woke them up at 6.30am and posted a photo online. Happy Anniversary. They are the princes who won hearts around the world and now William and Harry are winning hearts on social media. One photo of two brothers paying their respects to the millions who lost their lives in war has become the most liked royal Instagram image of the past week. It's been a busy royal week with State Visits, official visits and romantic visits (yes, Meghan, we spotted you) and that's before we get to the business of new portraits, speeches and ribbon cutting. The ruling houses of Europe have packed in plenty in the past seven days so to sum it all up, here are some highlights wrapped in figures to make the Royal Week, in numbers.